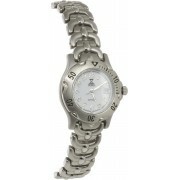 NOBEL all stainless steel lady's sports timepiece. 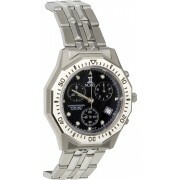 A very attractive watch featuring a brushed-satin stainless unidirectional turnable bezel and bracelet. 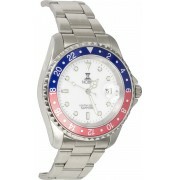 This high quality timepiece contains a Swiss-made movement, a scratch-resistant sapphire crystal, a white dial with 11 Arabic numerals at the lum..
Nobel all stainless steel timepiece with a unidirectional rotating watch bezel in blue and red lacquer. The white dial has 12 luminous hour-markers, 3 luminous hands, and a magnifying date lens. This timepiece is fitted with an anti reflective scratch resistant sapphire crystal, and is water-resista..
Nobel® all solid stainless steel chronograph timepiece made with a combination of satin and high polished links Creating a very striking and attractive look. The black dial contains 12 luminous hour markers, 3 luminous hands and 3 stainless chrono-hands. This chronograph watch is fitted with an anti..
Nobel® all solid stainless steel chronograph timepiece made with a combination of satin and high polished links Creating a very striking and attractive look. 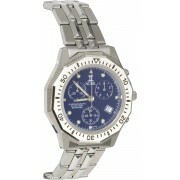 The midnigh Blue dial contains 12 luminous hour markers, 3 luminous hands and 3 stainless chrono-hands. 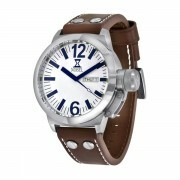 This magnificent chronograph watch is ..
Nobel® Solid Stainless Steel Watch with a genuine brown Leather bracelet. A very striking timepiece with a white dial and blue hour-markers, with Arabic numerals at the 12:00 and 6:00 hour-marks. 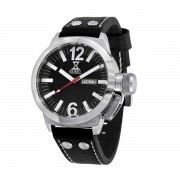 This remarkable timepiece has a screw-down covered crown for extra moisture resistance and for a very st..
Nobel® Solid Stainless Steel Watch with a genuine black Leather bracelet. A very striking timepiece with a black dial and white hour-markers, with Arabic numerals at the 12:00 and 6:00 hour-marks. This remarkable timepiece has a screw-down covered crown for extra moisture resistance and for a very s..
Nobel® Solid Stainless Gents. Timepiece. 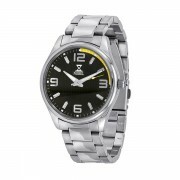 This magnificent classic watch contains a structured black/yellow dial and applied stainless steel/and white hour-markers, with Arab numerals. 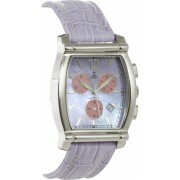 This beautiful timepiece has 3 white-enameled hands with a yellow second-hand for a wonderful unique look. The brace..
Nobel® Solid Stainless Gents. Timepiece. This magnificent classic watch contains a structured white/Red dial and applied stainless steel hour-markers, with Arab numerals. 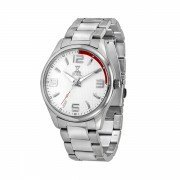 This beautiful timepiece has 3 white-enameled hands with a red second-hand for a wonderful unique look. The bracelet is finished ..